To save you a little time, help you decide what to bring and how to spend your time in New Orleans, here is quick list of what our guests usually want to know about staying at the Grand Victorian B&B. 1. Is there a shower in every room? YES. All rooms have a bathtub with a shower head, except for Evergreen which has a shower only. The suites have a jacuzzi tub with wall-mounted hand held attachments for the shower. 2. How far from the French Quarter are you? 27 blocks. It is 15 minutes by the convenient historic streetcar which will pick you up directly in front of our house for $1.25. A taxi cab down to the quarter will take about 10 minutes and costs about $8-10. You can often flag a cab down on the street or we can call one for you. 3. How far from the airport are you? We are about 30 minutes drive by taxi. The airport shuttle service does not usually come to smaller properties like B&Bs. The city has a set fee of $33 for 2 people to and from the airport. We have a taxi service that we recommend if you are interested. NO. Most of your travel stops are accessible by streetcar or by taxi; tour companies can pick you up at our door for day trips. The streetcar has posted stops about every 2-3 blocks; look for a yellow post. They travel by every 10-20 minutes and once an hour after 10 pm. The cost is $1.25 each time you get on and we sell day passes for $3.00. You can use the passes on all public transportation options such as the Canal Street streetcar to City Park or the Magazine Street bus for shopping. The only time our guests use a car is when they are independently touring outside of the City or in the suburbs. Otherwise if they have/arrived in a car, they leave it parked for free on the street for the duration of their stay here. 5. How close is Commander’s Palace? The world famous restaurant is 1.5 blocks walking distance from the Grand Victorian. 6. Where should we go eat? There are so many great restaurants; it is difficult to choose just one place to go. It will depend on what part of town you will be in for lunch, brunch or dinner. 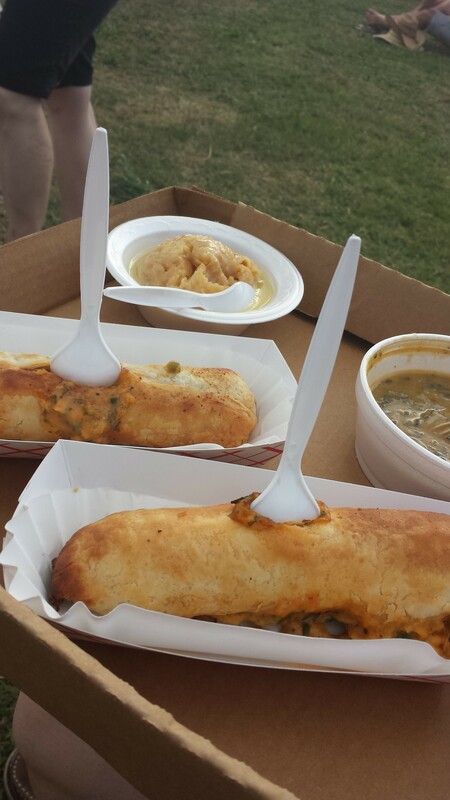 What southern specialties are you hoping to try: po-boys, etouffee, beignets, gumbo, etc. Our staff will happily make recommendations based on what your particular interests are. You can also read up on New Orleans restaurants in a wide variety of online publications for something that might peak your interest. 7. Are all of the rooms upstairs? 8. Do you serve a full Southern breakfast? NO. Due to current laws in New Orleans connected to our license from the City, a B&B can only serve pre-prepared food made elsewhere. We set up an extensive continental breakfast daily over a 2 hour window so that our guests can come down whenever they would like to eat. 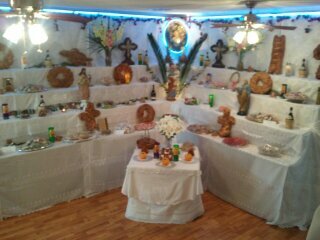 There is always a hot item that is prepared upon request daily in addition to a varied selection of other things: fresh pastries, hard boiled eggs, bread, fresh fruit cups du jour, and a variety of cheeses, yogurt and cereals of many sorts. Most guests compliment us on our wide selection of different items daily and always find just what they want to start their day and satisfy them until their lunch restaurant selection. We hope you’re convinced that the Grand Victorian B&B is the right place for your next vacation. Still have questions? Check out the FAQ page on our website and then make your reservation today! This entry was posted in Travel Tips and tagged Bed and Breakfast, grand victorian bed and breakfast. Bookmark the permalink. 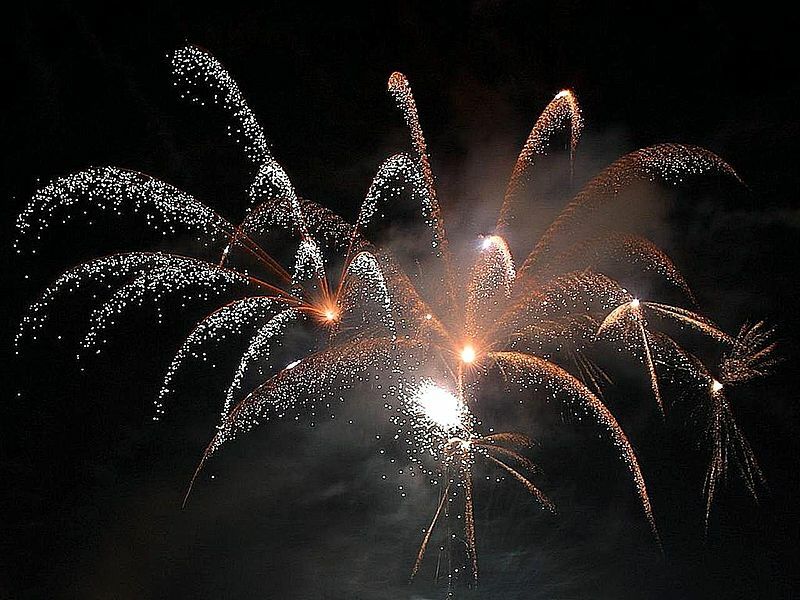 This entry was posted in Festivals, New Orleans Festivals, Top 5 and tagged Bed and Breakfast, festival, Jazz & Heritage Festival, Jazz Fest, Top 5. Bookmark the permalink. Are you looking for lodging near the 2014 NBA All-Star game? Don’t wait to find out who is on the team to get your reservations for the NBA All-Star Game events to be held in New Orleans, February 13-16. Bring your sweetheart and celebrate Valentine’s Day weekend off the courts with us! The fan voting results for the All-Star team are not official until January 20, but you can expect to see some of your favorite players and a few surprises taking part in this showcase of events, with top players competing from both the Eastern and Western Conferences. The weekend activities also feature NBA and the Women’s NBA players and alumni competing in exhibition games including a shooting contest, obstacle course, 3 point competition, and the popular high-flying slam dunk contest. The All-Star Game is on Sunday night, and the halftime show features musical performances by popular artists such as Elton John, Beyoncé, and John Legend. You can also get tickets to the world’s largest interactive basketball theme park (All Star Jam Session), held at the New Orleans Convention Center. Get your voluntourism experience with the NBA Cares events that give back to the Greater New Orleans community. 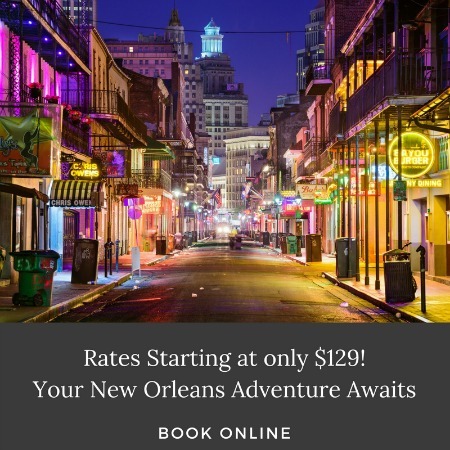 New Orleans knows how to do world class sporting events, and all of these experiences are just a streetcar ride away from the Grand Victorian Bed and Breakfast in the historic Garden District. Join in on the excitement for Valentine’s Day weekend! This entry was posted in Area Events, New Orleans and tagged all-star, basketball, Bed and Breakfast, Garden District, nba, sports. Bookmark the permalink. Make a new travel resolution! A bed and breakfast or a New Orleans hotel? That is the question. Is more travel on your New Year’s Resolution list? This year, add trying a Bed and Breakfast to your travels! You might have considered skipping the bed and breakfast experience because you think it’s not for you. Check out these Top 5 Myths about Staying at a B&B to see if a New Orleans bed and breakfast might be in your future for 2014 or 2015. 2. You have to share a bathroom with other guests. 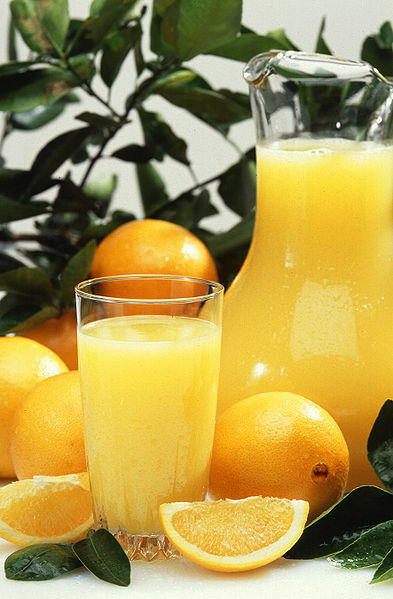 Who could say no to fresh breakfast? 3. You have to eat a specific breakfast with total strangers at a specific time. 4. You have to be home at a certain time. We hope we have debunked some of the myths surrounding life at the bed and breakfast inn, and you come to the Grand Victorian for your inaugural visit. Check out our rooms and specials pages for the one that is just right for you! This entry was posted in Garden District, Top 5, Travel Tips and tagged about bed and breakfasts, Bed and Breakfast, Top 5. Bookmark the permalink. New Plantation Art for your Grand Victorian Room! 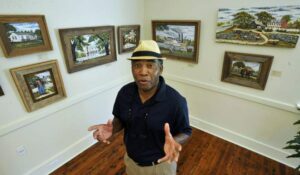 Our New Orleans bed and breakfast, the Grand Victorian, is excited to announce it has commissioned 8 new paintings, from acclaimed Louisiana artist Henry Watson. Each of our guest rooms will boast a special bas-relief painting of the plantation for which it is named: Rosedown, Oak Alley, Greenwood, Magnolia, The Shadows, Evergreen, Destrehan and Nottoway. The paintings are three dimensional carvings done on 100 year old cypress wood reclaimed by the artist. Watson looks for old buildings, researches to discover who owns the property and how old it is, buys it, then tears down the buildings himself to use the wood. 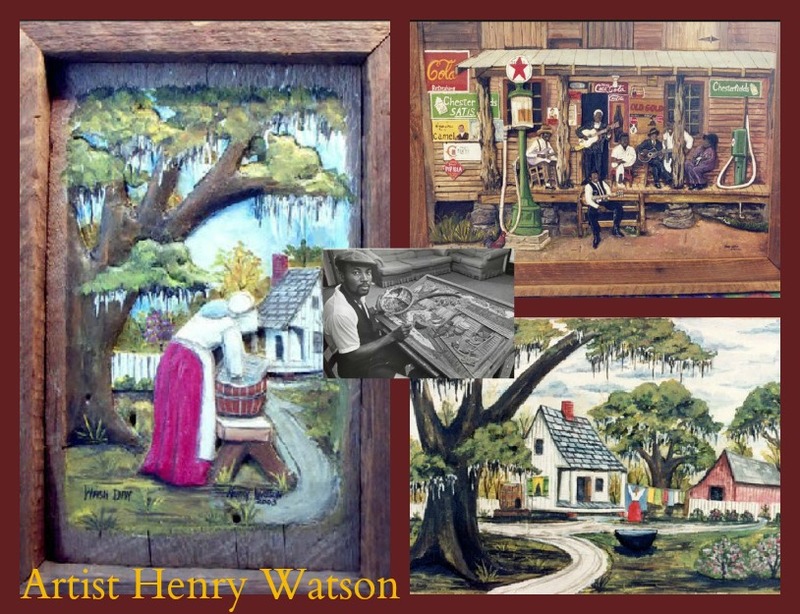 Watson’s studio is located just outside of New Roads in a 150 year old slave house near scenic False River. His art is drawn from stories told to him by his grandmother and history of the deep south. We can’t wait to add a piece of local artistry to your Grand Victorian experience! Choose your favorite plantation room today! This entry was posted in Garden District and tagged art, Bed and Breakfast, painting, plantation. Bookmark the permalink. Get your presale tickets before August 31 for one of the best tasting fundraisers all year, happening November 8. Benefitting the Emeril Lagasse Foundation, Boudin Bourbon and Beer features 40 of New Orleans’ best chefs preparing dishes using the Louisiana original sausage with rice known as boudin. 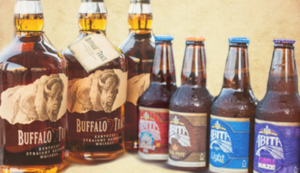 Buffalo Trace Bourbon, a presenting sponsor from the world’s most decorated distillery will be pouring “neat” tastes, and professional mixologists will create speciality cocktails. Locally bottled Abita beer is one of the sponsoring organizations, and will offer special surprise brews for guests to taste at the event. Emeril Lagasse Foundation supports non-profit organizations that provide educational programs, life skills development, culinary training and cultural enrichment, creating opportunities in the communities where Emeril’s restaurants operate. Add some more B’s to your Boudin Bourbon and Beer weekend by staying at your favorite B&B, the Grand Victorian in the historic Garden District. 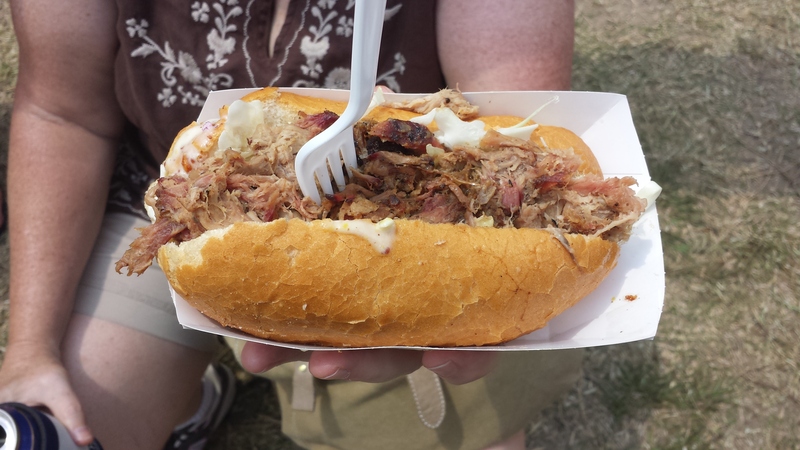 This entry was posted in Area Events and tagged Bed and Breakfast, beer, boudin, bourbon, Emeril Lagasse. Bookmark the permalink. 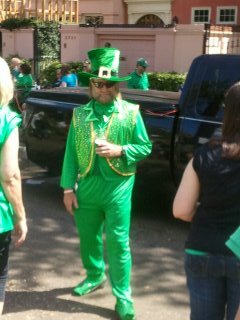 Get Your Green on for St. Patrick’s Day in the Garden District! In the city that celebrates, it won’t be too long before the beat of drums and marching feet resonate on the streets with more parades and celebrations. 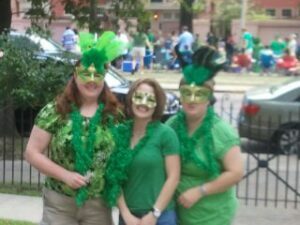 There are several St. Patrick’s Day parades that feature walking groups dressed in costumes of green who give out flowers, beads, and kisses to lucky parade goers along the route. The floats that follow the walkers throw beads plus the more infamous cabbages, carrots, onions…and moonpies! The Irish Channel parade on Saturday, March 16 passes directly in front of the Grand Victorian. 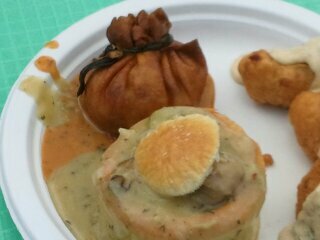 New this year, the annual Parasol Block Party in the Irish Channel has been extended to a 3 day celebration! On March 19, our city’s Sicilian heritage is celebrated on St. Joseph’s Day with elaborate altars in Catholic churches and private homes in honor of this saint who provided relief during a famine in Sicily. St. Joseph’s Day has also been adopted as an important day for the Mardi Gras Indians, an African-American tradition unique to New Orleans. 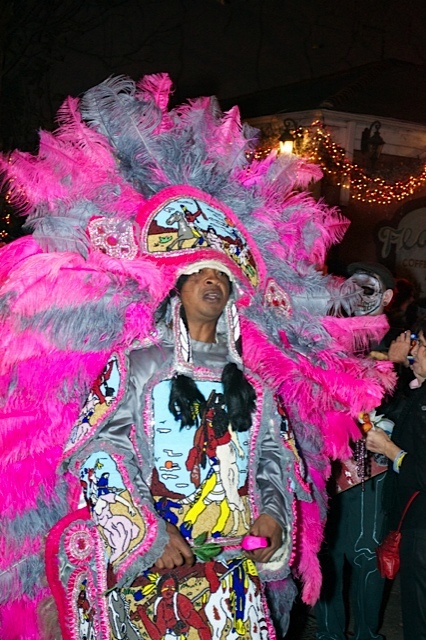 The Super Sunday Mardi Gras Indian parade on the Sunday nearest St. Joseph’s Day is the one time of year all of the Mardi Gras Indian tribes come together to show off their new suits. Original costumes are created every year and can weigh between 100 and 150 pounds. Intricate hand-beaded suits walk the streets on Super Sunday! We still have a few rooms left for St. Patrick’s Day weekend. You’ll get a front porch view of the St. Patrick’s Day parade from the Grand Victorian Bed and Breakfast, and you’re a streetcar away from the French Quarter and Super Sunday events. Hope to see you on the streets! This entry was posted in Area Events, Garden District and tagged Bed and Breakfast, Garden District, parades, St. Patrick's Day. Bookmark the permalink.